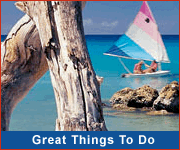 Let a local professional assist you through the process of planning your Barbados wedding. Their local knowledge and personal touch is invaluable, whether it's picking the ideal location, choosing the best time of year, selecting appropriate flowers and music or any of the host of other details that go into planning the perfect wedding. 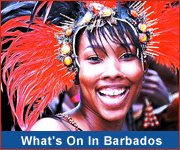 Most of the arrangements can be made even before you arrive in Barbados! Whether you wish a traditional church wedding, a tropical fantasy on the beach or anything else your heart desires, Barbados wedding coordinators are here to turn those dreams into your reality. Elope Barbados offers simple, personalized packages for an intimate and unforgettable ceremony at one of Barbados' beautiful beaches. We work with the BEST vendors on the island, making it simple to say 'I DO'! Every couple can enjoy their very own Wedding... beyond your imagination. Let us help you create the most romantic, memorable day of your life...your very own Wedding... beyond your imagination!!! Island Bliss Weddings ....We are your preferred wedding planners with the strictest attention to your individual style and taste, creating a wedding experience that is the source of fond and lasting memories. You are invited to the perfect wedding in tropical paradise... yours! Island Weddings brings years of experience to create weddings that are as seamless as they are stunning. Plan the perfect wedding with Whirlwind Events. From getting engaged to choosing the perfect dress and walking down the aisle, we promise you a whirlwind of smiles and memorable moments.